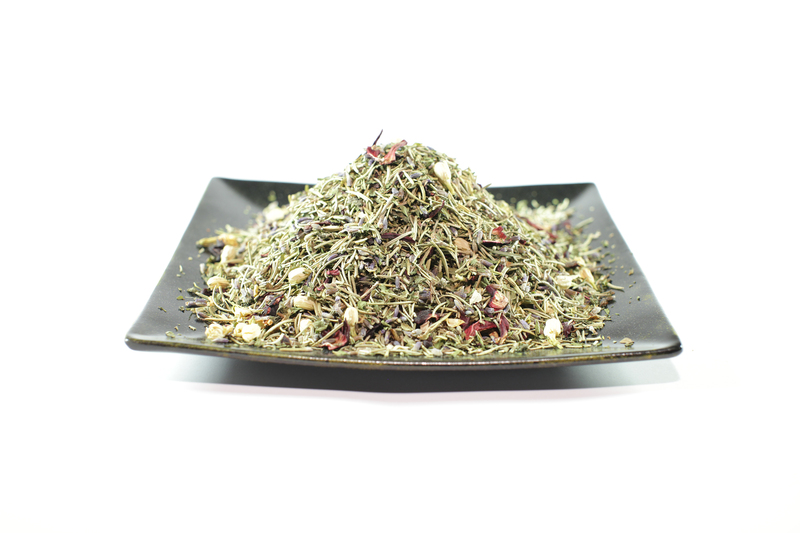 Formulated to help you think, this specialTea is suggested for stimulating the nerve and circulatory system by promoting increased blood flow to the brain. Rosemary is said to combat mental fatigue and increase memory function as well as concentration. Focus and enjoy this tasty mind revolution. A soft flowery blend with notes of fruit and mint. Rosemary is great for memory, concentration and focus. Hibiscus helps lower blood pressure, increase circulation and control cholesterol levels. Peppermint has anti-spasmodic properties that have been shown to help calm down the digestive track. Lemon balm is great for anxiety and calming the nerves. In WWll rosemary and juniper berries were burned in French hospitals to kill germs and prevent the spread of disease. First of all, this was a free sample with my order so I wasn’t sure about it...but after a long day at work and being faced with the daunting task of painting the bedroom I decided to give it a try... the light pink tint of hibiscus and invigorating scent of rosemary was a nice start but then the peppermint was there like “hi friend!” Anyways... this stuff snapped me out of my post-work slump and I went right to work! It’s amazing how energized I felt without any caffeine! ...I’d highly recommend a try especially if studying or preparing for a great day!